21 No Carve Pumpkin Decorating Ideas That You'll LOVE This Halloween! 21 No Carve Pumpkin Decorating Ideas That You’ll Love This Halloween! These no carve pumpkin decorating ideas are so much fun for Halloween! Check out our favorites around the web, such great ways for decorating pumpkins without carving! These are the cutest no carve pumpkin ideas! Here comes Halloween! The spooky day is on its way, and we are talking no carve pumpkin ideas for Halloween. No carve pumpkin decorating is a great way for kids to join in on the fun. Parents are the ones who have to do all of the cutting, anyway, and sometimes we just don’t want to deal with scooping out the guts and smelling the pumpkin over time. If you’re thinking of pumpkin decorating without carving this year for Halloween, you’ve come to the right place for ideas! 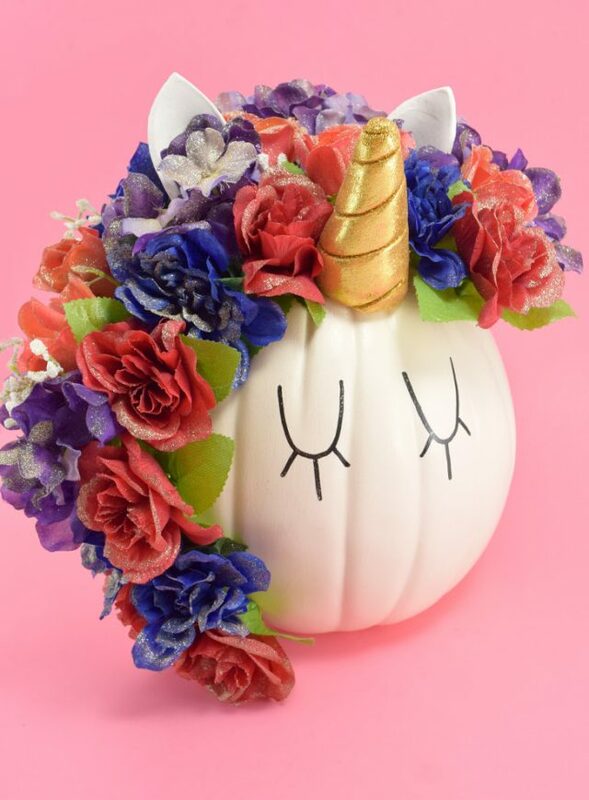 This crafty pumpkin decor idea uses a large white pumpkin and decorates with a gold shimmery horn and a beautiful floral mane! This has to be one of the top creative pumpkin decorating ideas! These fun and colorful painted pumpkins celebrate Dia de los Muertos, or Day of the Dead. I love the details on this pumpkin painting ideas. Emojis are so much fun to use, so it’s no surprise that they make such great no carve pumpkin decorating ideas! 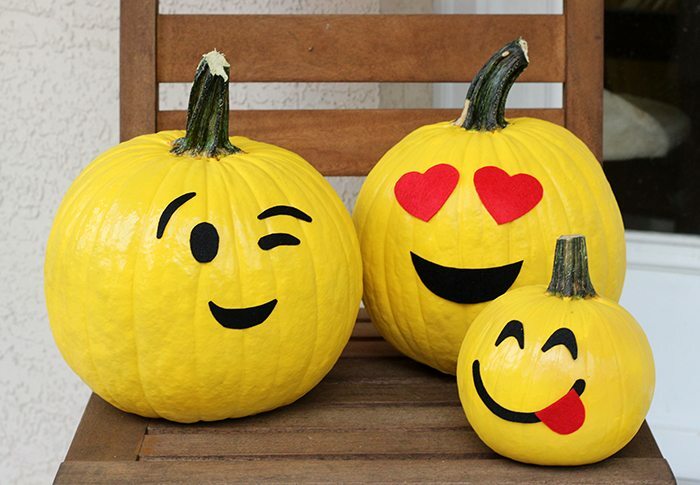 Try making these cute emoji pumpkins this Halloween. This fun Star Wars themed pumpkin uses two pumpkins of different sizes to make a cute little BB8 droid! 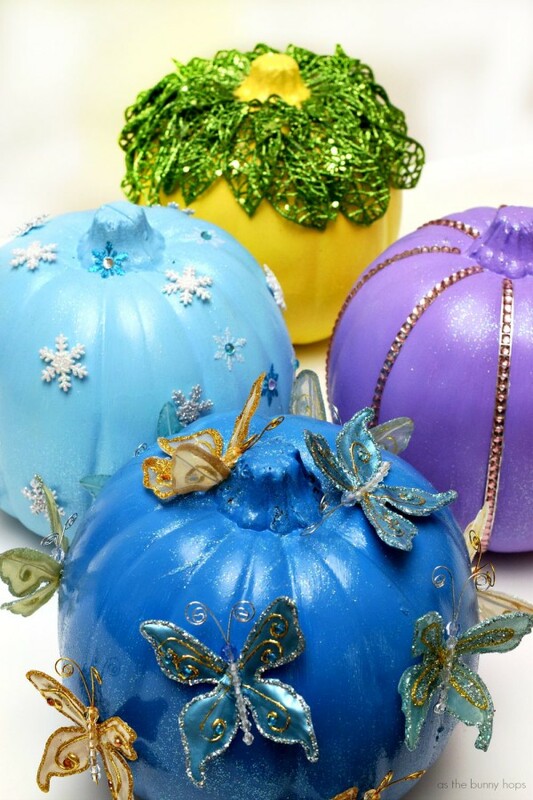 Your princess loving little girls and boys will adore these fun pumpkin painting ideas! Do you recognize any of these princesses? Beautiful felt flowers in fall colors adorn this pumpkin, making it a cute and way to decorate pumpkins without carving! 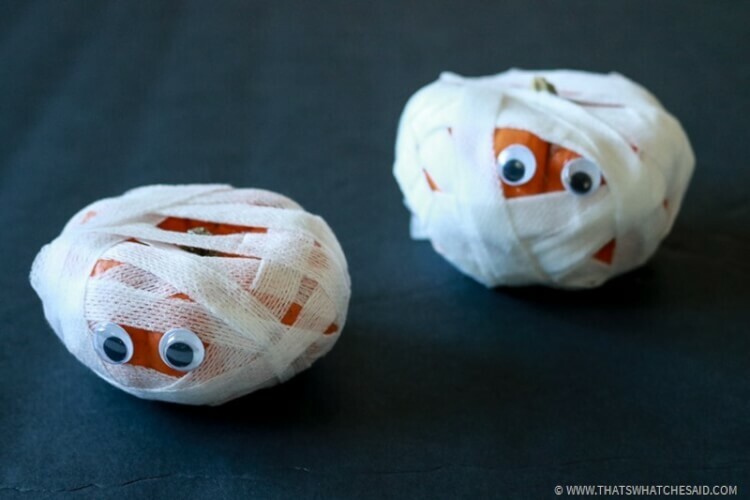 These mini pumpkins are wrapped in white gauze to create a fun and spooky Halloween decoration! A little glitter and some strands of hot glue can transform a pumpkin to a spiders web! 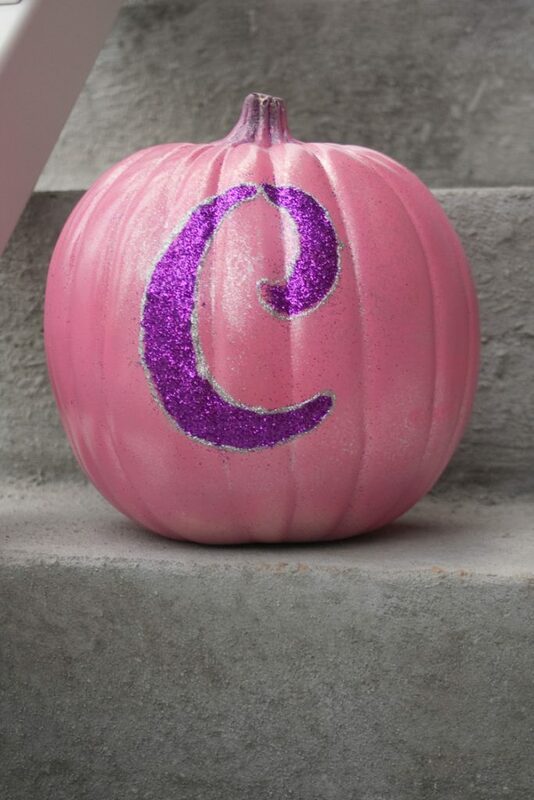 Who knew that some glitter and your favorite initial letter can make such a gorgeous decorated pumpkin! 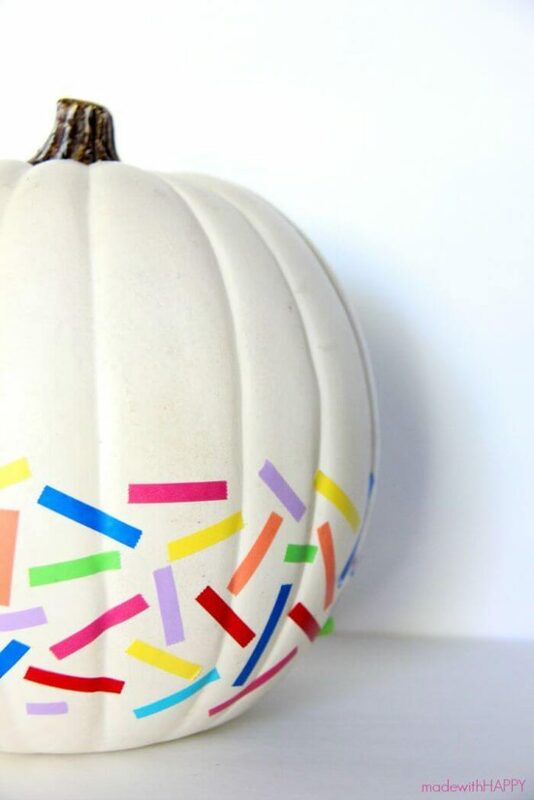 Zig zag patterns are so fun, and this painted pumpkin idea is no exception! 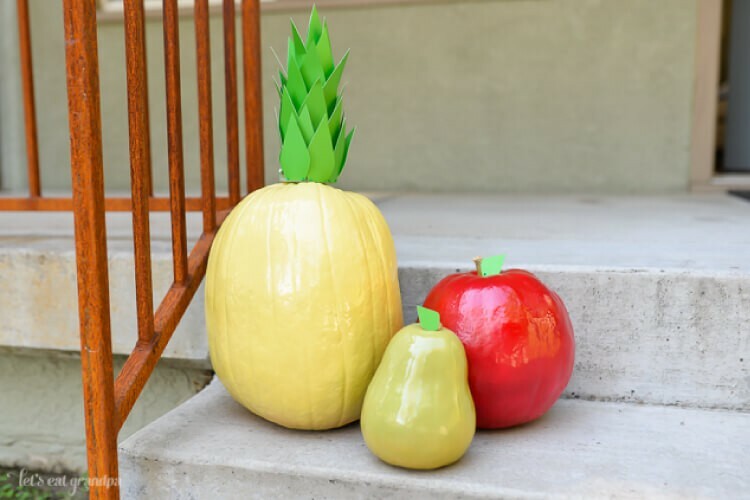 These are made out of foam pumpkins, but you could totally use real ones, too. 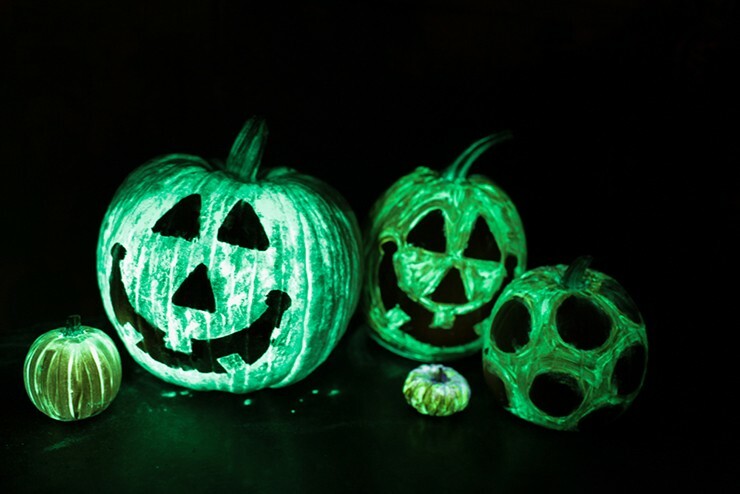 Set the scene this Halloween with these cute glow in the dark pumpkins. A little mod podge and some creativity makes this a great no carve pumpkin decor idea. These fun pumpkins have a pun on each one of them, Halloween related, of course! 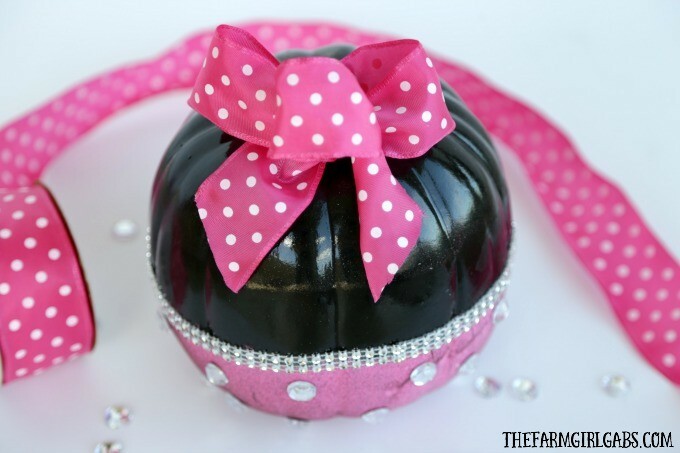 This cute pink and black pumpkin decorating idea is so much fun for Minnie Mouse lovers! This is probably one of the easiest no carve pumpkin decorating ideas. Watercolors are a lot of fun, and great for small children. This idea is super cute, a great and easy way to involve your toddler and preschool ages kids to participate in pumpkin decorating without carving! These elegant pumpkins are wearing shiny gold studs, a fun and unique pumpkin decorating ideas. Now here’s a unique pumpkin decorating idea! You can make your own Halloween fruit salad with these cute pumpkins. Make these cute no carve black cat pumpkins, a fun idea for Halloween! 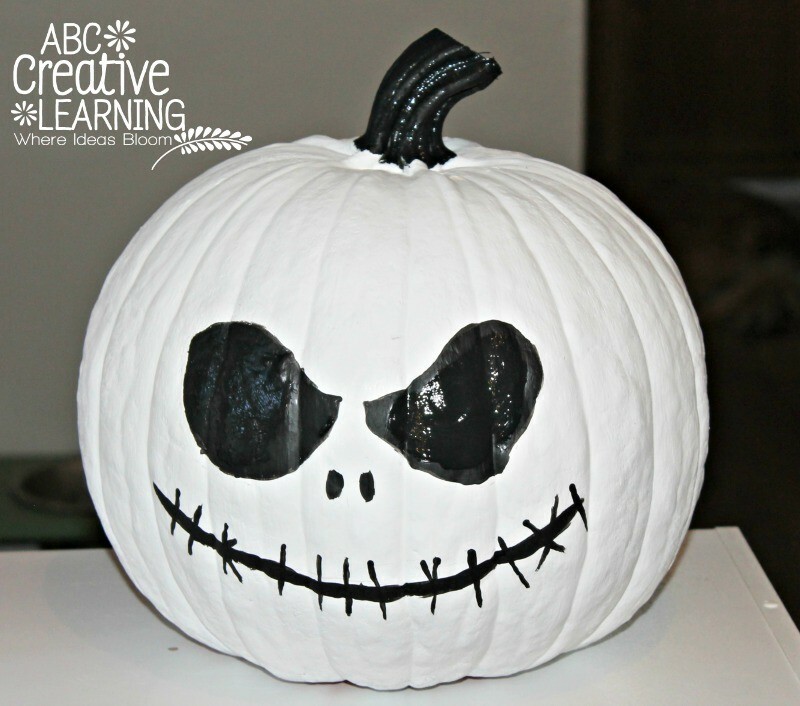 This spooky black and white pumpkin has Jack Skellington’s face on it, a fun pumpkin decor idea for Halloween! 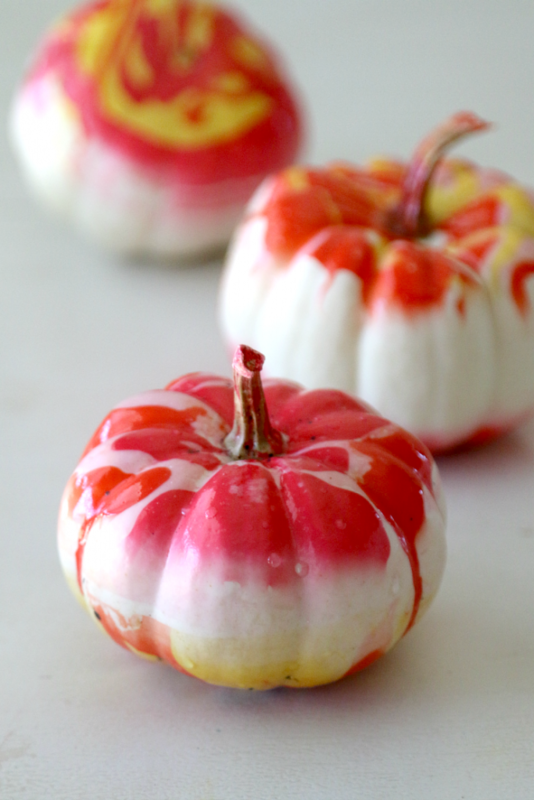 Learn how to create a marbled look on your pumpkins with this tutorial. You’ll have to see what she uses to paint them! Watch your favorite colors melt and coat a pumpkin, what a great way to decorate pumpkins without carving! What are your favorite creative no carve pumpkin ideas? 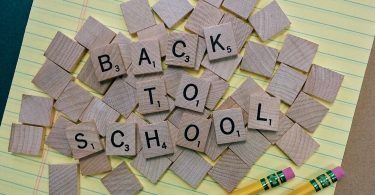 5 Fun Things We Did At Legoland For The LEGO NINJAGO Movie Press Day! 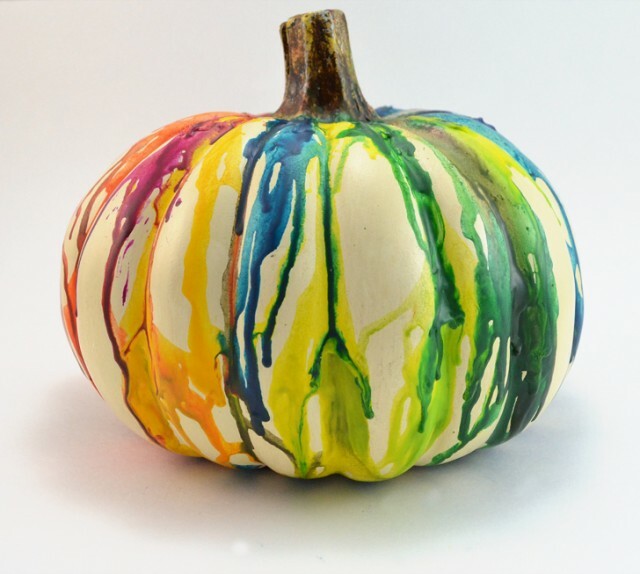 love the melted crayon pumpkin!